In all the busyness of life, I sometimes feel like I’ve missed out on things or should have been a part of some things but there didn’t seem to be enough time. I have no desire to live in regret but I do have desire to connect with people and to be able to have time to accomplish all the things I set out to do. 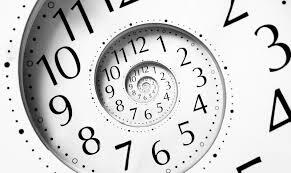 So I don’t live in regret but I sometimes do live in puzzlement over the aspect of time occasionally. I mean, we’re all given the same 24 hours each day right? So why does it sometimes it feels like I have fewer hours than that? If you were to look at my ‘to do’ list and what actually got done, this would seem to be the case. I know, I know; I need to prioritize my time better. And some days, I do. But then there are the times when all these thoughts melt away. They melt away when I turn my focus from regret of things that haven’t gotten done and turn it to my Father instead, He will tell my soul that all is well. There’s a peace that comes while with Him and with it is assurance that there is time, more than enough time. And, I haven’t really missed anything at all. All the while I’m interacting with God; time loses meaning. It no longer has a pull on me. So I often I wonder where does all the time go, I mean really, where is it?! When I’m out and about doing life it seems like there is a huge hole in my bucket and time slips away, almost without me noticing it. Time was a thing created for us here on earth and when I blink, it’s gone or so it feels. Where does it end up? Is there a black hole in the spirit realm just teaming with all the lost time? Maybe it’s looping back around into eternity to be spent then. Another occasion this ‘slippage ’ of time seems to happen is when I have an event scheduled weeks or months out; sometime out in the future where I can’t really grab a hold of it. I plan and get organized for the event (as much as I know how to prepare), but it seems that there is only so much I can do since it’s so far away. What the event is doesn’t really matter. It could be that someone ordered dozens of pies for a wedding or simply friends coming to visit. Suddenly this event that was way off in the distance is here, it’s right now. So, how does this happen? Where did all the time in between go? What happened to that period of time where I could anticipate the arrival, get more things done in advance? Where’s the middle time? Why didn’t I see time departing and the event approaching? So many mysteries; or are they just silly questions? I guess I need to investigate this loss of middle time, it’s just a mystery to me how this can happen. I love suddenlies but not so much in this context. What this feels like is one minute I had all the time I needed to get ready and prepare but suddenly everything needs to be done, TODAY, right now! It’s here! The day that was so distant has arrived. Am I the only one this happens to? Is it just me that gets so caught up in the day to day living and life stuff that I can’t even see the train coming at me? Yes, that was a little melodramatic, I know but even though the suddenly of the event being here is great and brings with it much expectation, it often feels like I have been blindsided by it. How could this have happened to me again? So what I’m left with is running around finding the ducks I left lying about, here and there and spend all the remaining time left trying to get them all in a row! My times are in his hands and if I don’t sweat the small stuff all will be well. And you know what? It always turns out well. So, where ever that middle time went, I suppose I will never know. But one thing I do know is that most of the time when I’m blindsided by the arrival of an ‘event’, I’m the only one who knows it. So I hear ringing in my head: Let it go, let it go, let it go……..enjoy the day; it is sufficient for my needs. Good one GG. That song has been running through my head for the last week. I find myself wondering if I am wasting time. I spend more time at work, rather than at home. Am I doing something significate with my time? I feel that time is one of the most precious commodities that we have and I spend too much of it working. I know I have eternity, but I want to do something more productive with my time than work. I don’t feel like we necessarily work too much but instead I believe the problems come up because of how we work. Doing work as unto the Lord, from a place of rest makes so much difference in the way we ‘do’ work. I’m still working on this too. One thing that also helps me is it look at my job or work as something I GET to do, rather than something I have to do. You wouldn’t believe the difference that makes. Hang in there Joe, you are doing fine.